Happy Tuesday! Hope everyone’s week is off to a great start. My mom and Morris arrived in town last night, which is great since I missed Mother’s Day in Austin on Sunday! I’m excited to have her here to see the progress at the house and hopefully help me with a few decisions on things like fabrics, light fixtures, etc. I’d been dying to take them to Dolce Riviera (Morris loves pasta! ), so we had dinner there last night. If you haven’t been, you’ve got to put it on your list! Not sure if I mentioned this, but Thursday I leave for NYC! I come back Sunday evening, only to to leave for Mexico first thing Monday morning. This means I’ll have to have my bag for Mexico packed before I leave for New York… It’s not often my travel plans are so back to back, so hopefully I can handle it! 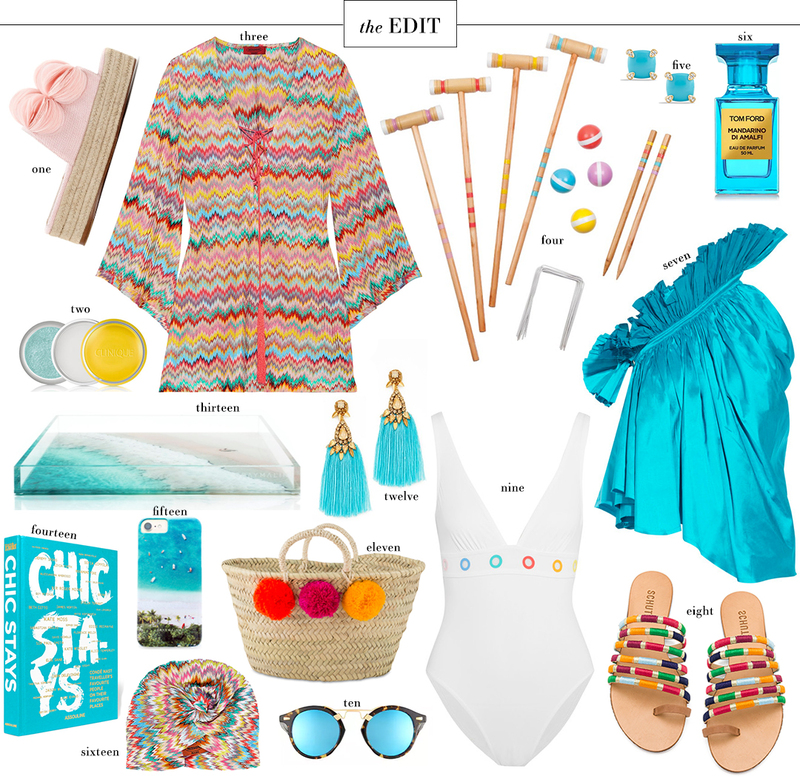 I’ve purchased some adorable new pieces for the beach that I can’t wait to share with you guys, but in the meantime here’s luxe beach roundup for ya! Pretty colors! I love the Tom Ford cologne, the sunnies, and the phone case! Such a fun round-up! Love the aqua blues! This makes me want to book a beach vacation STAT! !